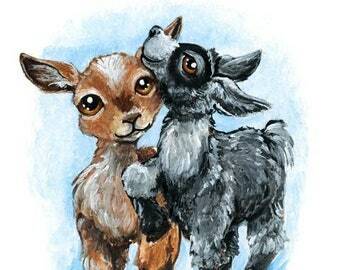 Oops.. this silly baby goat ripped out a hole in this greeting card! 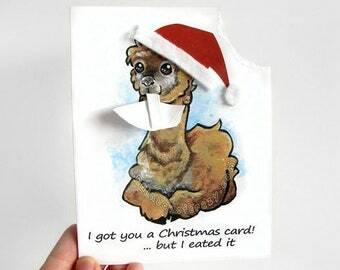 He's very sorry, but he was quite hungry and the card looked mighty delicious.. This whimsical card is printed with archival pigment inks on high quality, heavyweight 110lb card stock measuring 4 1/4" x 5 1/2". 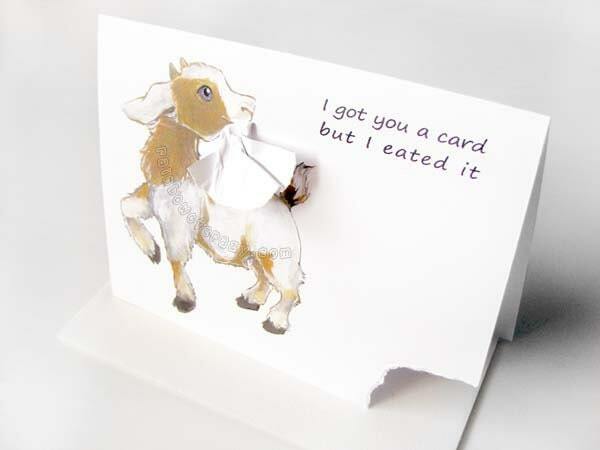 The bottom corner of this card is carefully torn and hangs from this cute baby goat's mouth. Each card is made to order and the rips and torn pieces vary slightly. The card is blank on the inside and has the shop name on the back. 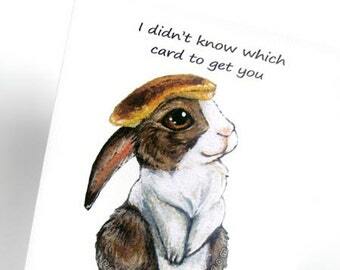 This card includes a white envelope. - "I got you a birthday card! .. it didn't make it." - "I got you a card but my goat ate it!" - "This card tastes baaaad." 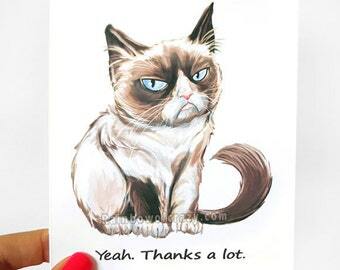 - "This card. It's delicious." I buy all my cards from Etsy. I found this site that has cards, prints, jewelry, etc. in every animal imaginable. 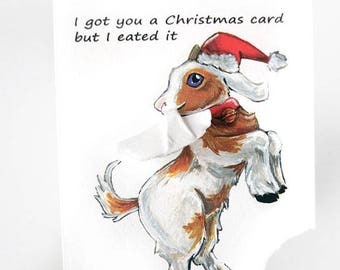 I bought the goat card but really don’t want to give it to anyone because I like it so much. I guess I’ll have to purchase more. 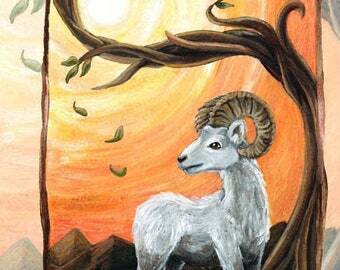 If you like animals, this is a very talented artist. Order arrived very quickly. My daughter's best friend (my adopted daughter for all intents and purposes) LOVES baby goats. So her Christmas presents all had to have something to do with goats. 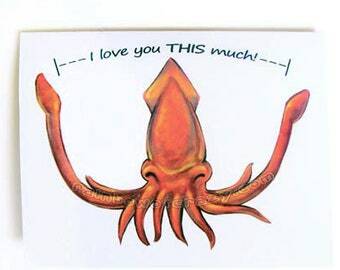 Hence the card. I gave it to her as a New Years card since it was blank inside and she adored it.